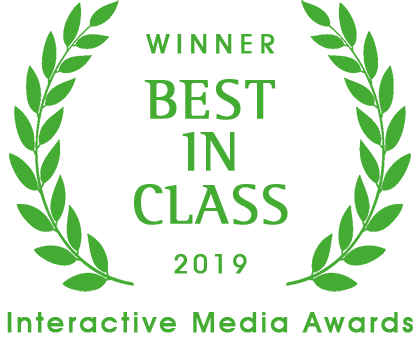 APRIL 8, 2019, Philadelphia, PA- Key Medium, Philadelphia-based, award-winning digital growth agency, today announced that it has been awarded Best in Class by the Interactive Media Awards™ for its work on the Philadelphia Works. The honor recognizes that the project met and surpassed the basic standards of excellence that comprise the web’s most professional work. The site was honored specifically for excellence in Nonprofit category. The judging consisted of various criteria, including design, usability, innovation in technical features, standards compliance and content. In order to win this award level, the site had to meet strict guidelines in each area — an achievement only a fraction of sites in the IMA competition earn. The completely revamped website features a streamlined and simplified component-based design system, improved functionality, and enriched content areas that connects residents with career opportunities and provide employers with access to the talent they need to be competitive. The new site features a wealth of easy to access information and features interactive reports and trends, an interactive map of programs for young adults, an interactive career pathway selector, and so much more. The new site has been selected as the Best in Class Nonprofit Website of 2019 from the Interactive Media Awards, judged by the internationally-acclaimed Interactive Media Council. This is the platform’s second award in Q1 2019 where it was also honored as a Gold award recipient in the Mobile Information Experience category by AVA Digital Awards, administered and judged by the Association of Marketing and Communications Professionals. AVA is an international competition that recognizes outstanding work by creative professionals involved in the concept, direction, design, and production of media that is part of the evolution of digital communication. Developed by Key Medium, with content strategy by Rachel Dukeman at R&R Creative Group and Kasey Thompson, the new PhilaWorks.org is a testament to the Philadelphia region’s talented workforce. The design was produced by P’unk Avenue in conjunction with a committee at Philadelphia Works led by Meg Shope Koppel, Ph.D., Chief Research Officer and Elena Vayner, Manager of Programming. Philadelphia Works is proud to hire local talent. Philadelphia Works is the city’s Workforce Development Board, investing in solutions and services to grow Philadelphia’s economy by connecting employers to workforce talent and career seekers to jobs. They influence the public policies that support economic growth and optimize funding and resources to invest in regional solutions to build a skilled and thriving workforce. For more information, visit www.philaworks.org. Founded in 2014, Key Medium is a premiere digital agency that creates beautiful, branded experiences for businesses, nonprofits, and government agencies. Key Medium has received praise for spearheading the growth of startup companies and lending affordable expertise and services to Philadelphia charter schools and nonprofit organizations. For more about Key Medium, visit www.keymedium.com.